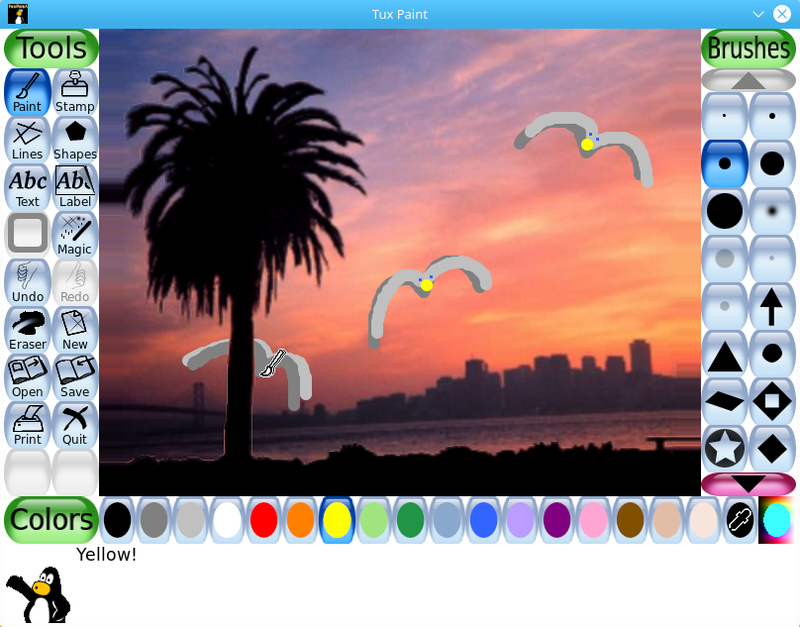 The Tux Paint is an open source drawing tool for kids that can work cross platform, has simple yet entertaining interface. It works on Mac, Windows and Linux systems and includes bundle of drawing tools. Its canvas size fixed and gets automatically adjusted with users paintings. Tux Paint can quickly load images, save them and process them easily. Its interface does not involve tricky functionalities but appear in entertaining manner with funny sound effects and cartoon animation to refer users about tips and hints and information. For drawing users will get paint brush, rubber stamp, line tools and shape tools. Each of these tools then offers multiple functionalities. For example the pain brush will fulfill users’ needs in different types of brushes, animate them, alter their color palettes and direct them to different direction. The Rubber stamp comes with loads of photographic images and cartoons as built in with options to update the database further with recent images and relevant files. 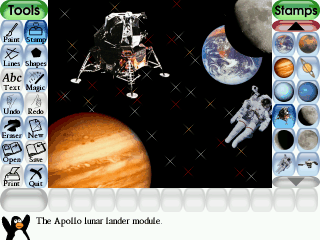 Users with Rubber stamp feature can easily add descriptive texts and sound effects and audio recordings. It will also let user resize a file, flip it and create a mirror version of it. Under line tools users will determine which paint brush to use and where to show a line in the drawing and painting. The shape tool and text and label tools are two different tools that let user draw an object easily, rotate the object’s shape, apply different fonts to text, color, size and bold or italicize them. 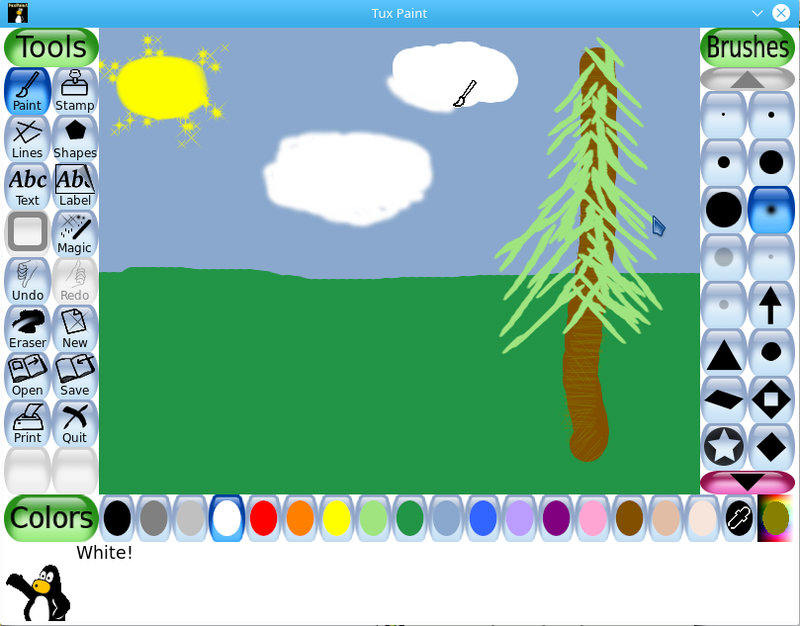 The most important aspect regarding Tux Paint is its magic tool. The magic tool is the tool that actually makes the real difference of the software. For instance, it comes with special effects like blind, blocks, blur, bricks, calligraphy, cartoon, chalk, color, confetti, darken, distortion, drip, edges, emboss, fill, fisheye, flip, flower, foam, fold, glass tile, grass, mosaic, lighten, metallic etc. and eraser and undo options. One can open file, prepare slides, save them, print the work and use the ‘starter’ for their purposes. 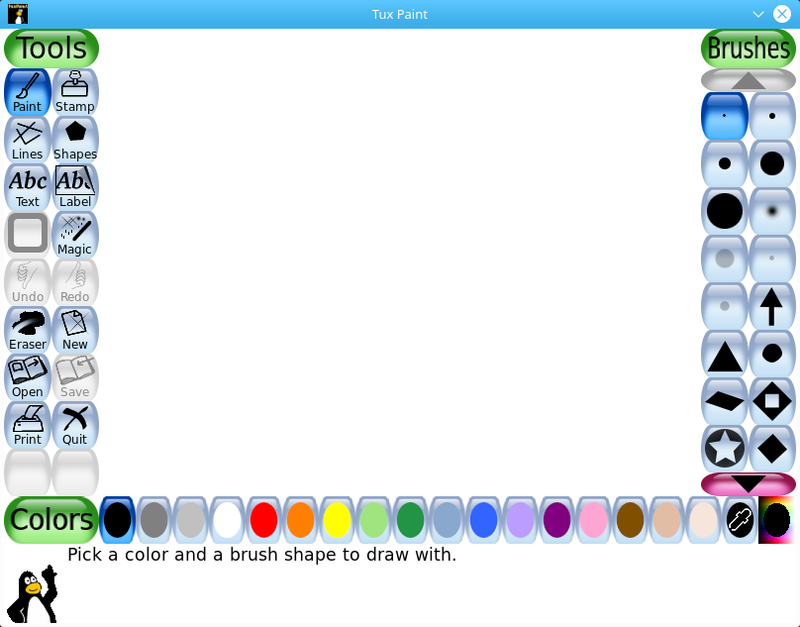 Tux Paint is available in over 121 languages across the globe as a freeware to download for kids drawing and painting works. It is undoubtedly one unique program that lets you insert different characters into your work files. More importantly this program has a parental control which is rare in other drawing tools for kids. What do you think about Tux Paint for Win 95, 98, Me?